The three of spades, symbol of weakness and resignation, is a card that evokes the degradation of a situation. 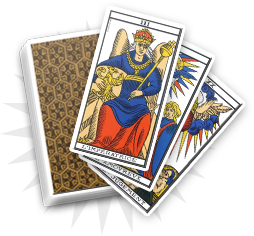 Not that powerful in cartomancy, its negative aspects are often balanced with the other cards from the reading. 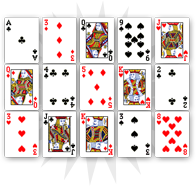 The three of spades announces a short-term disease. Like most of the spades, this card refers to temporary events and does not engage the consultant for a long time. It presents daily life difficulties coming from the individual’s passivity and carelessness. 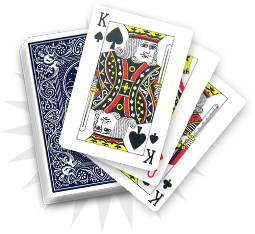 In the following days, the three of spades shows difficulties that you will ignore despite the fact that you should face them in order to resolve the problems and to stop them. This card warns you from the dangers of procrastination. You have to be more caring and thorough. 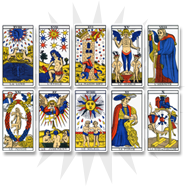 The three of spades warns you about self-serving relationships, such as a free relationship with no love, or hypocrite persons from your entourage. Beware of the social links you develop with some people in order to understand the origin, the truth and the sincerity of the feelings you share with your relatives. It could help you avoid some problems.